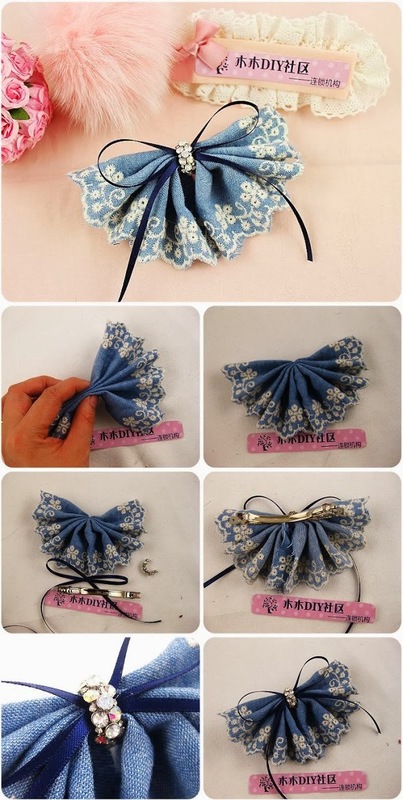 Such a lace flower head is not difficult to be made. Choose a suitable cloth and colour that you like. Fold and tighten it precisely and you will have something simple but interesting at the same time.